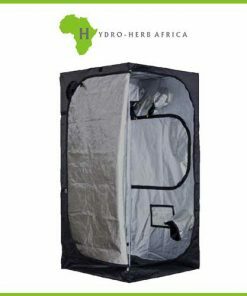 Since its inception over 10 years ago BudBox™ has remained the most trusted name in the indoor grow-tent market; remaining at the very forefront, continuing to manufacture & supply a high quality, tried, tested & trusted grow tent to both the professional & hobbyist grower. 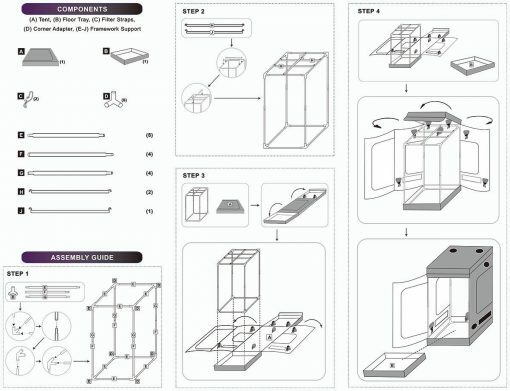 As concept developers the BudBox™ team has continued to upgrade, improve and re-style their product in line with customer feedback and their own philosophy to constantly strive for perfection. 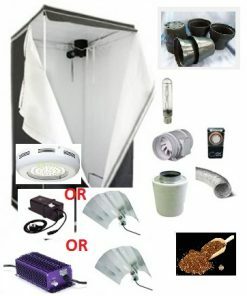 Through this constant innovation, development and testing, they bring us their very latest ALL NEW BudBox™ Pro revision, which combines & amalgamates all the very best ideas, concepts & raw materials, into one fantastic, strong light proof growing environment. The whole BudBox™ Pro range is now equipped with steel, push & click fit connectors, which, in addition to the thicker tempered steel poles, provide greater load bearing strength for all your filters, fans and lighting requirements. 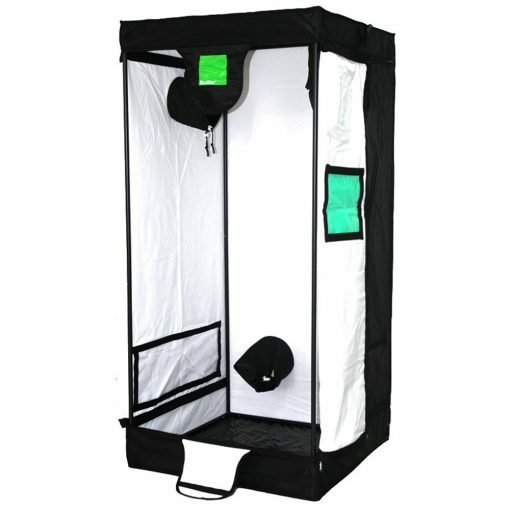 BudBox™ is still the ONLY grow tent manufacturer that takes the time and care to powder coat their poles and connectors, delivering the best possible anti-corrosion protection and a very clean and reflective look. 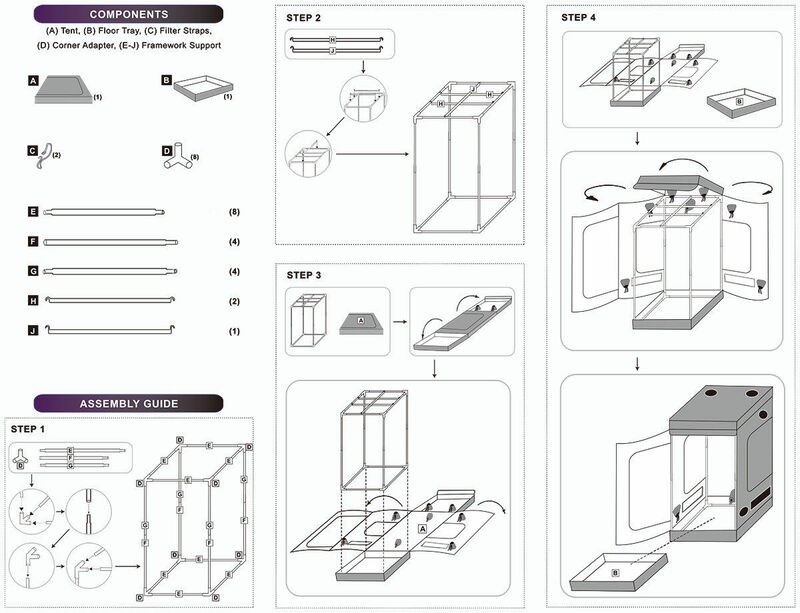 BudBox™ assembly instructions are set out in a clear, concise, easy to follow format – all canvasses are zipped on 3 sides top & bottom, ensuring that erection remains simple & straightforward. 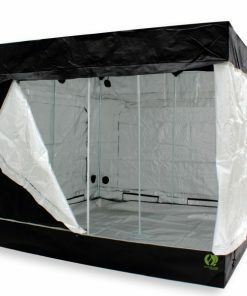 As well as increasing the size and number of all ventilation ports, BudBox™ added ground level irrigation ports on the left and right hand side panels. This new port is the answer we have all been looking for when using floor based gravity feed systems and pump-fed flood and drain pots. 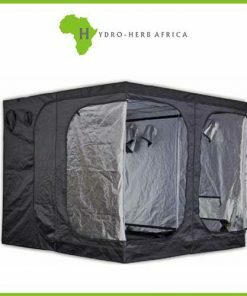 The positioning of the vent will permit the user to utilise either side of your BudBox™ to run pipe-work, both in and out of the tent, through a really neat double cuffed port, it’s a simple solution to an old problem. Let’s look at the Cover! 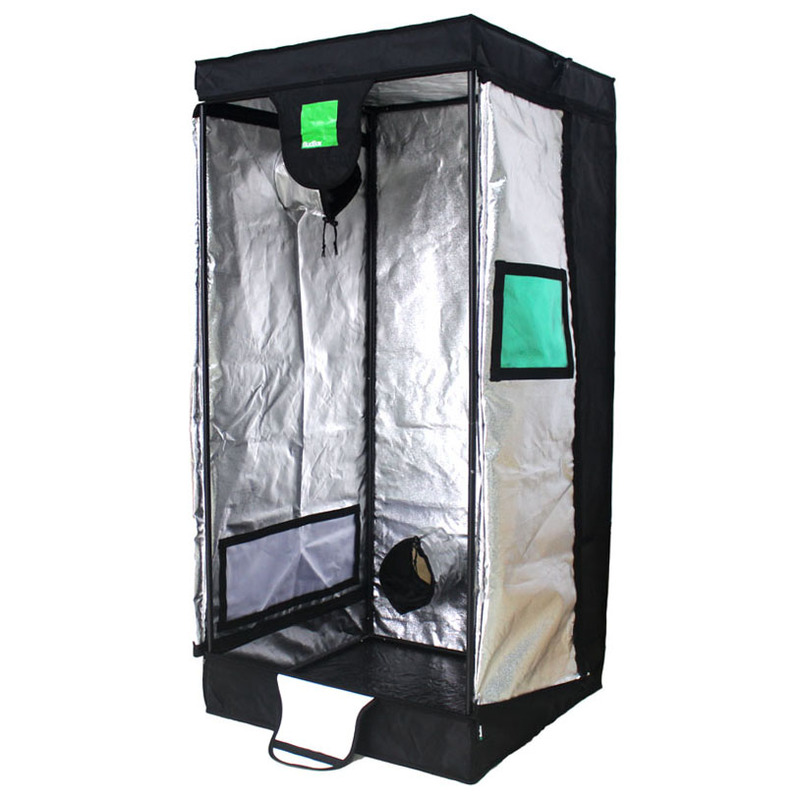 The inner skin of your BudBox™ grow tent is not just a simple piece of white or silver material, the nature of manufacturing such materials is highly skilled and, as such, there are only a small number of manufacturers in the world that can do it properly and to a consistent quality. As with all the other components, the BudBox™ philosophy on this subject is and will remain the cornerstone of their success, USE THE BEST THERE IS! 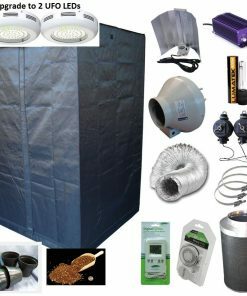 With the advent of more powerful lighting combinations, ventilation has become a real issue with some grow tents, as such, having studied every tent currently available very carefully, BudBox™ have used this information to make sure you get the right solution. BudBox™ Pro inlet & exhaust ports have been upgraded to enable the use of larger fans and, if required, the use of insulated ducting. The Titan range now has 340mm vents. Each vent and cable port is doublecuffed to prevent light spill both in and out. In addition to increasing the size of the air vents 2 extra vents were added in the roof and the rear wall panel (in the Titan range) which gives you the option to vent from the front and/or rear, enabling you to position vent fans just where you want them! The new BudBox™ Pro has multiple inspection hatches, which have been positioned to the rear & side elevations of the Titan range, these doors have been included to enable the most convenient access to the full tent, at all times, without having to unzip the whole side, you can now reach right in to tidy up plants or move lights and inspect your crop like never before. The Titan1, and Titan+ models have 2 extra inspection hatches on the sides and the Titan2 and Titan3 have extra hatches on the sides and the back wall. Each BudBox™ now also has as a new green viewing window so you can view your crop without disturbing it. 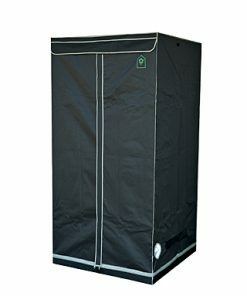 As is always with BudBox™ all tents unzip at the top and bottom, right around 3 sides, which gives you unparalleled access to the plants as well as making assembly easy. The BudBox™ Pro now comes with the addition of extra door flaps in the sides and rear of the Titans, so you now have every entry option you need covered. The new easy grip branded zip puller makes opening and closing the tent easy, even with wet fingers. BudBox™ Pro comes in an all new extra strong carry bag.